It seems like more and more consumers are open to the idea of electric cars. Despite missing out on that thunderous growl of the internal combustion engine, the environmental and economic benefits are beginning to sway consumers. Nissan recently commissioned a study by Frost & Sullivan. 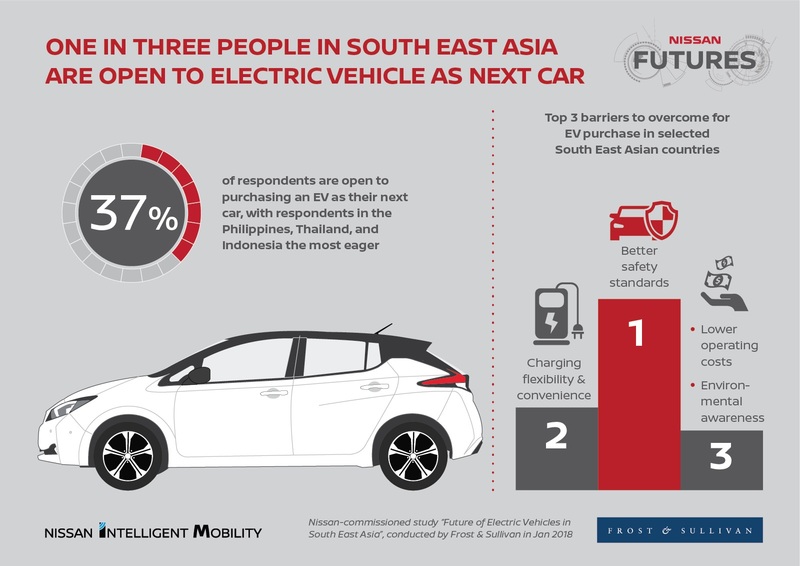 The survey revealed that 1 in 3 Southeast Asian car buyers is open to buying an electric car. The study surveyed consumers in Singapore, Indonesia, Thailand, Malaysia, Vietnam and the Philippines. The main barrier for these consumers to overcome isn’t the cost, which is what I thought. While many people mentioned that charging flexibility and convenience was a significant barrier to overcome, it was actually better safety standards that concerned people the most. Third on the list was the operating cost. Now that I think about it, I do wonder how a Model 3 would stack up to a Dodge Ram in a fender bender. One of the worries here in the United States is that tax waivers will soon run out for some manufacturers. 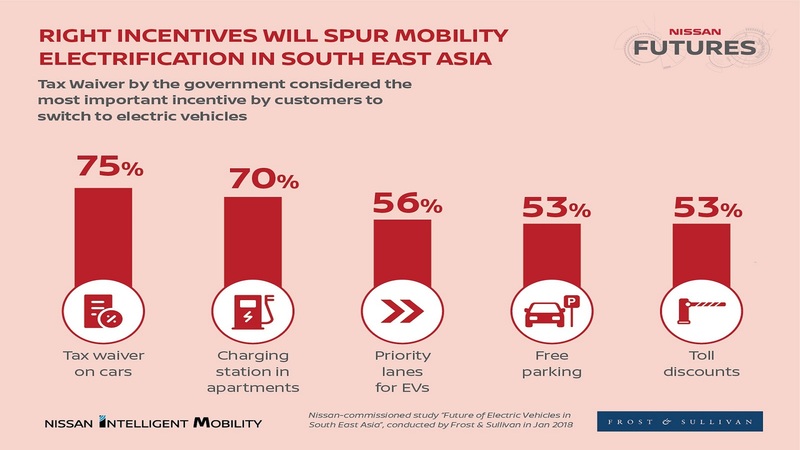 It’s something that may hamper the growth of electric vehicles in the U.S. Customers in Southeast Asia also share similar worries as they really valued that extra incentive. Seventy-five percent of consumers surveyed said that tax waivers by the government were the best incentive to purchase an electric vehicle. Other incentives they mentioned were charging stations being available in apartment complexes and priority lanes for EVs. 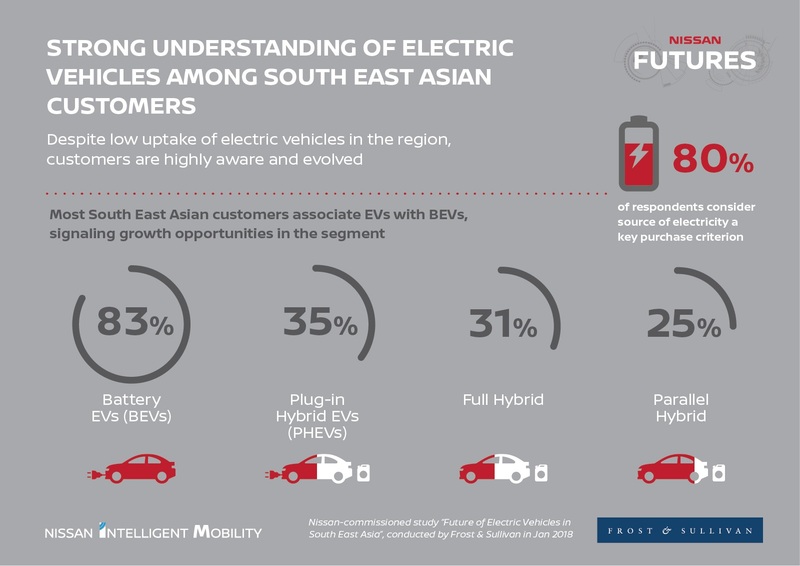 Despite a low overall utilization of EVs in the Southeast Asia region, consumers thought they had a strong understanding of the technology. Eighty-three percent of respondents knew what battery-powered EVs were while thirty-five percent know what a plug-in hybrid EV was. Speaking on the survey results Vivek Vaidya, senior vice president of mobility at Frost & Sullivan said, "The current uptake rate of electric vehicles isn't a true reflection of underlying demand, which is much stronger. Contrary to popular belief that the high cost of EVs is the impediment, the survey reveals that safety concerns and charging concerns run high on customers' minds. If the industry and government can take away these barriers, the full potential of EVs can be reached." I think that one-by-one these barriers will be overcome and EVs will be as mainstream as iPhones.